The designated hitter is a farce and an abomination, but it does keep your pitcher from getting all tuckered out after a jaunt around the basepaths. 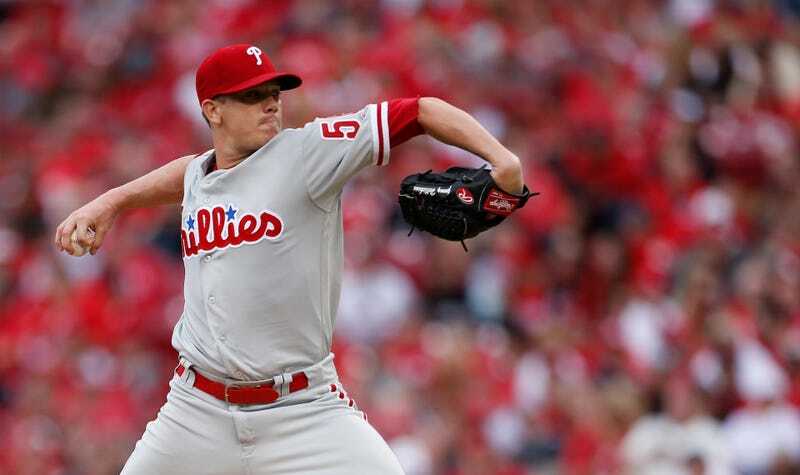 That’s what happened to Phillies starter Jeremy Hellickson on Monday, after a line drive to right field made him the first Phillies pitcher to hit a triple on opening day in 100 years, and also possibly hastened his exit from the game. Hellickson went on to proclaim that he will be stopping at second base from now on, in an attempt to prevent future starts from being cut short by triple-induced fatigue. Or he could try a better solution, as practiced by Madison Bumgarner, and just swing for the damn fences every time.